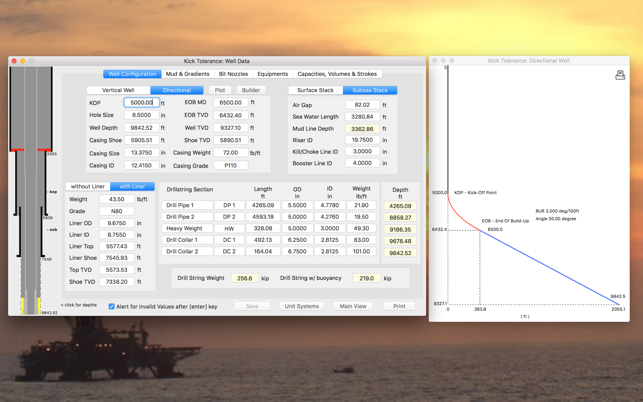 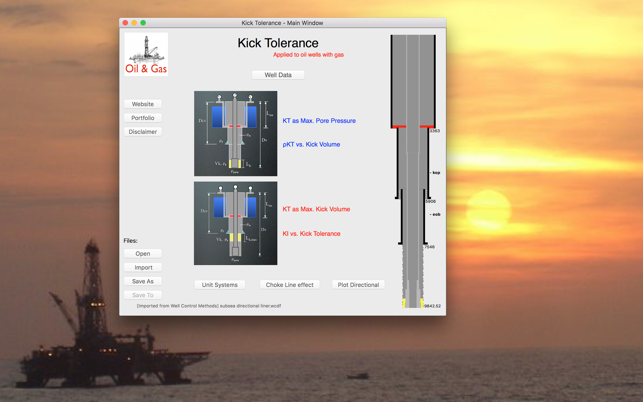 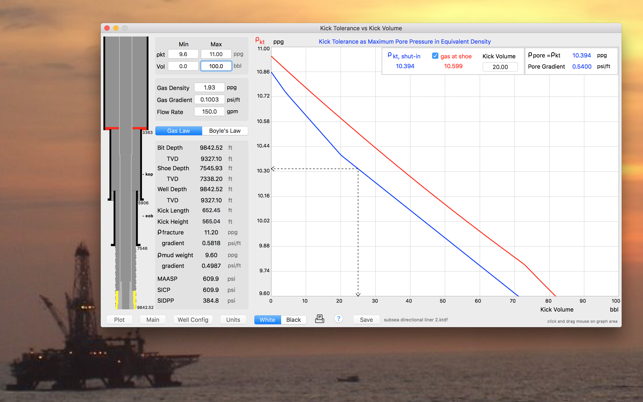 The Kick Tolerance provides to drilling engineers, chemists, technicians, students and others professionals in the Oil & Gas industry a productivity tool helpful in the drilling operations (well control) and planning phase of oil wells. 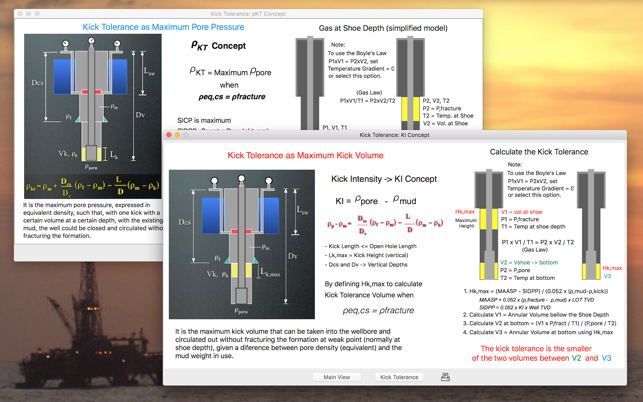 Visit our website for User Guide with informations about these two concepts of kick tolerance. 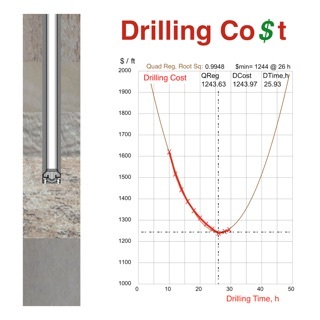 11) Drill string sections: Drill pipe 1, Drill pipe 2, Heavy-weight drill pipe, drill collar 1 and drill collar 2. 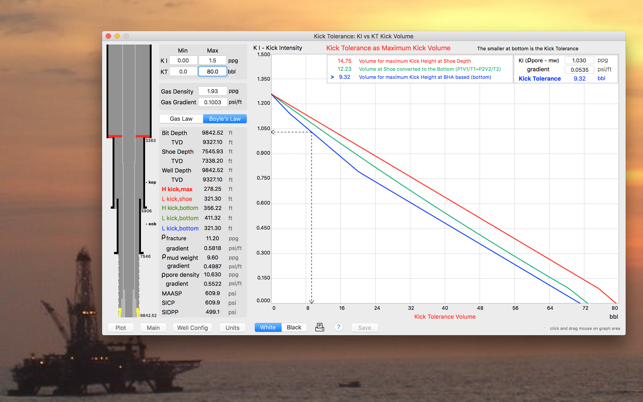 13) Imports well data files from other apps "Drilling Hydraulics", "Well Control Methods", "Drilling Simulators 1 and 2", "Well Control Simulator", "LOT Simulator", "MPD Simulator", "Kick Game"